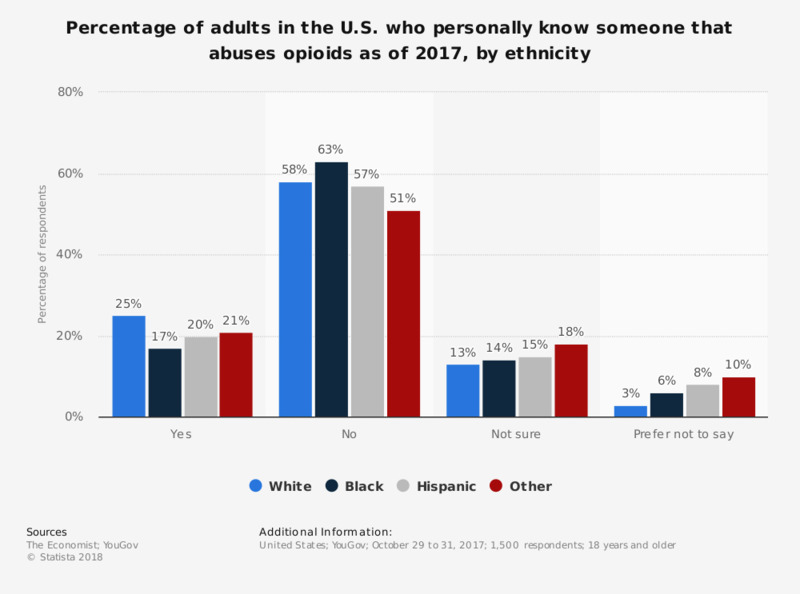 This statistic displays the percentage of U.S. adults who knew someone that had a problem with opioid abuse as of 2017, by ethnicity. According to the survey, 25 percent of white survey respondents indicated that they knew someone with an opioid abuse problem. Opioids are a substance that act on opioid receptors in the brain and are primarily used as a pain relieving drug. Opioids are highly addictive and can cause fatal overdose when used outside of medicinal practices.